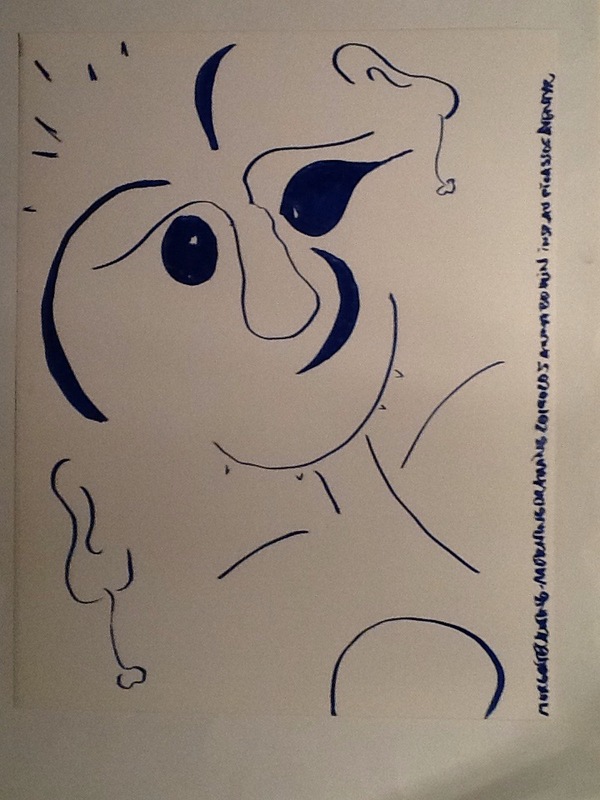 Inspired by the movie The adventures of Picasso that I saw last night at Lagnö film club. Inspirerad av Picassos äventyr som jag såg igår på Lagnö filmklubb. Här kan ni se klipp av filmen. Here’s some cuts from the movie. If you find the whole movie it’s worth seeing. Some parts is in Swedish but very much is many other languages. Those videos were hilarious Anna. I must see the film. It would be very inspiring. I think you would like it. The film is from 1978 but still it’s very worth seeing. The actor Gösta Ekman was brilliant in his acrobatic comedy scenes. He’s one of the greatest actors Sweden ever had. He died a couple of years ago and people still grieving. So that’s who it was….